Forensic science refers to application of various fields of science and technology to establish facts about a crime and find evidence that can be used in both civil and criminal law. The word “forensic” originates from the Latin word “forensis” which translates into “before the forum”, “public”. The selection of the name is quite appropriate because just like today, in the times of ancient Romans both the defendant and persecutor had to publicly present evidence to support their story. But the ancient Romans didn’t do it in the court but before a group of people in the forum. Computational forensics. It involves the use of computational science to study and solve problems of various fields of forensic science. Digital forensics. It specialises in recovering data from electronic and digital media. Forensic accounting. It examines and studies evidence related to accountancy such as insurance claims, frauds, personal injury claims, breach of contract, etc. Forensic anthropology. It refers to application of anthropology and osteology to determine facts involving a human body in advanced stage of decomposition. Forensic archaeology. 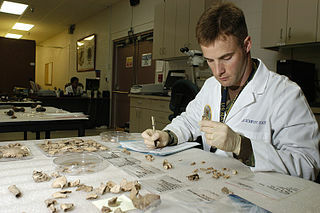 This field of forensic science employs archaeological methods to identify evidence of crime. Forensic astronomy. Application of celestial constellations to solve problems relevant to law is relatively rare. It is most often used to solve historical problems. Forensic botany. Plant leaves, seeds, pollen and other plant life on the crime scene, victim or the accused can provide strong evidence of presence of the accused on the crime scene, relocation of the victim, time scales of the crime, etc. Forensic chemistry. It is focused on the study of illicit drugs, gunshot residue and other chemical substances relevant to both civil and criminal law. Forensic dactyloscopy. It refers to gathering, preservation and study of fingerprint evidence. Forensic document examination. It examines, studies and determines facts about documents in dispute in a court. ** Besides handwriting, it also involves examination of the paper itself, ink, alterations, additions, signatures, etc. Forensic DNA analysis. This field of forensic science focuses on collection and study of DNA evidence that can be used in the court. Forensic entomology. It studies insects found on the scene of crime or victim and is particularly helpful for determining the time and location of the victim’s death. Forensic geology. It involves application of geological factors such as soil and minerals to gather evidence related to crime. Forensic linguistics. It refers to the study of the language relevant for legal proceedings. Examples include emergency calls, voice identification, ransom demands, suicide letters, etc. Forensic meteorology. It involves application of weather elements to determine facts about a crime. It is most often used in cases involving insurance companies and murders. Forensic odontology. It refers to the study of dental evidence. Forensic pathology. This field of forensic science deals with examination of a corpse and determining things such as cause of death. Forensic podiatry. It refers to the study of footprint evidence. Forensic toxicology. A forensic toxicologist studies toxic chemicals such as drugs, e-liquid and poisons on or in a body.